A weirder, queerer, more Europop Zoolander, Diamantino floats in on a cloud of campy 16mm film to tackle hot-button issues like the European refugee crisis and gender identity with zany satire. Not all of it works, but when it does, it's goofy, dreamy and sweet. Celebrated Portuguese soccer star Diamantino (Carloto Cotta, who bears more than a striking resemblance to Christiano Ronaldo, edgy haircut and all) lives in a bubble of blissful naiveté, conscious of nothing but his family, his sport, and the fluffy puppies and pink clouds he visualizes whenever he scores another magnificent goal. But Diamantino's idyllic worldview is shattered one sunny day at sea when he encounters a boat full of desperate refugees. His eyes opened to the horrors around him, Diamantino can no longer focus on his game, and he becomes the subject of worldwide mockery and memes after missing a critical goal and disqualifying Portugal from the World Cup. Eager to find meaning in his now meaningless life, Diamantino decides to adopt a Mozambican refugee, Rahim. Little does he know that "Rahim" is actually Aisha (Cleo Tavares), a lesbian undercover agent who suspects Diamantino is committing tax fraud. In reality, the perpetrators are his overbearing twin sisters (Anabela and Margarida Moreira, channelling Patty and Selma Bouvier by way of Cinderella's wicked stepsisters), who have joined forces with the European Union to trick their brother into undergoing bizarre and dangerous medical experiments to become the world's greatest soccer star. If that sounds like a mouthful, that's because it is. Diamantino has a lot of ideas, and is a frequently clever parody of European nationalism, Brexit, far-right homophobia and transphobia, and the nature of fame itself. Manipulated on all sides by his sisters, the government, and his doctors, Diamantino is hilariously, breathtakingly naïve — a literal virgin who sleeps on bedsheets imprinted with his own handsome, half-naked visage. When someone does finally listen to him, they're shocked to discover that he truly does have something to say, and that maybe his idyllic worldview isn't so far-fetched after all. The film's central love story achieves moments of sweetness, and touches on the idea of sexual fluidity and gender norms, although it would have done well to explore this a little further, especially considering how balls-to-the-wall Diamantino's other political statements are. 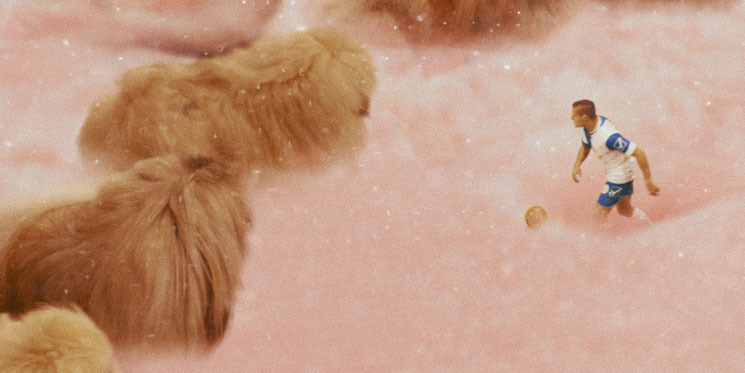 While it's a mishmash of concepts and ideas, Diamantino deserves credit for taking a wholly unique and visually lush approach to heady subjects and exploring them through a surrealist fantasy lens.